My yearly Bronco Christmas card to the folks on Broncofix.com. This one was drawn in pen and ink then scanned and edited in Photoshop. The pain scheme matches my neighbor's sweet lifted, uncut Bronco. Some details are my own and don't quite match his. 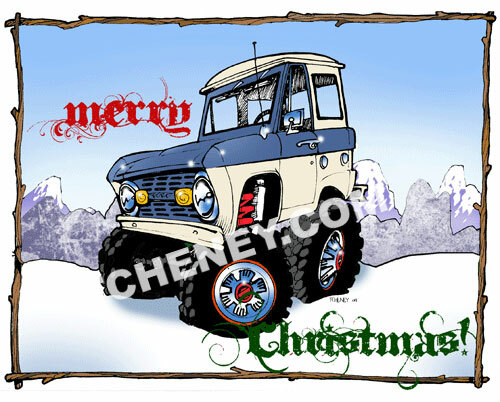 This drawing was originally set in the desert and modified especially for the Christmas card.